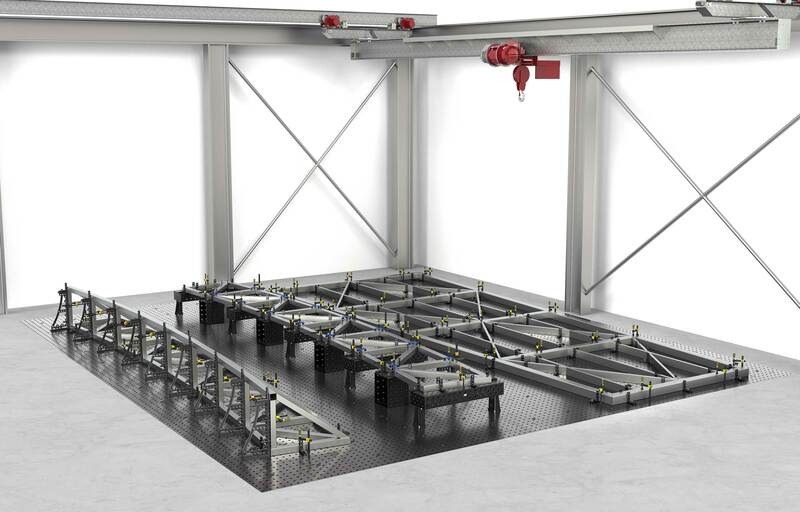 ...in order to meet these requirements, Siegmund offers custom rail and platform solutions for your manufacturing floor. Precise installation of our rail and platform systems creates a structured work space with maximum accuracy and minimum tolerance. For example at a length of 25 meters on our rail systems there is a deviation of approximately 2 mm (if installing with adequate measuring equipment). Therefore large-scale work pieces can be manufactured true to size. The combination of tables, connecting frames and accessories, result in a multitude of clamping options in any dimension. With the help of connecting frames with casters, tables and accessories are easily moved and fixed on a 100 mm grid. Due to the versatility of the Rail and Platform system, projects of any scope can be quickly positioned, adjusted and clamped. 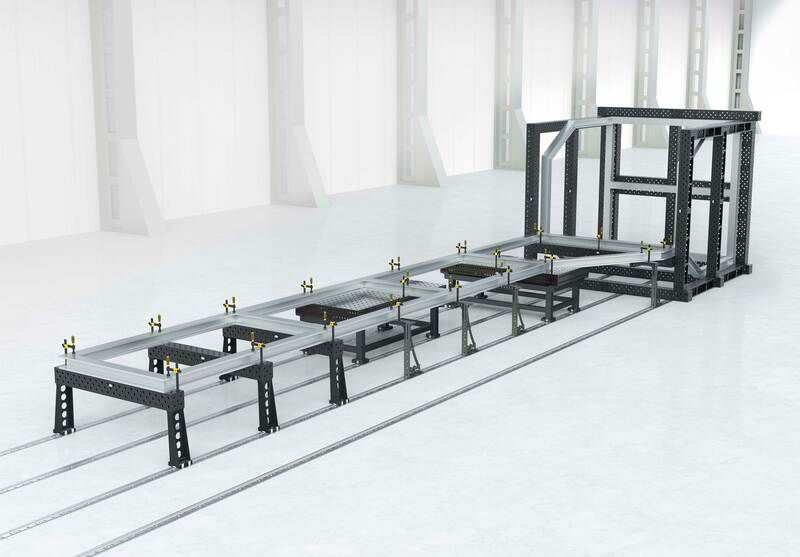 The Siegmund Rail and Platform System stands for quality, precision and time savings. Precision of parts, in connection with expert installation of the Rail System using adequate measuring equipment, enable accurate manufacturing. By using the Siegmund modular system you can selectively combine and expand your equipment. Regardless of the project you want to implement, we deliver the foundation. Expand your work space in any dimension! ...as flexible and mobile as you need it!